Woman With Headache Wearing Eyeglasses. 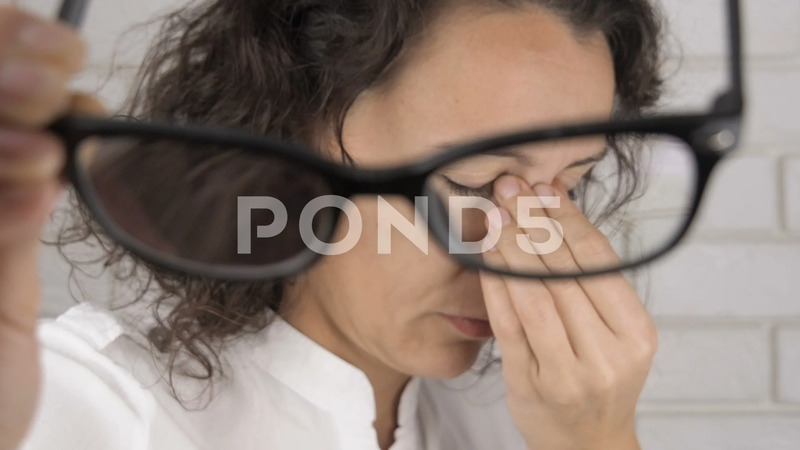 Description: Woman with headache wearing eyeglasses. Eye care. Wearing glasses for bad eyesight.